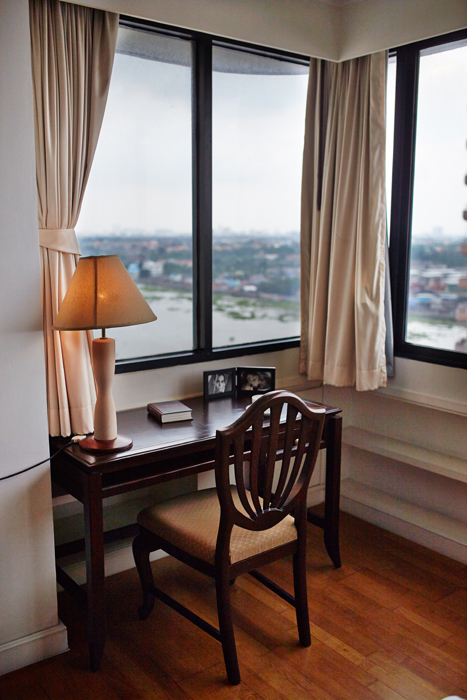 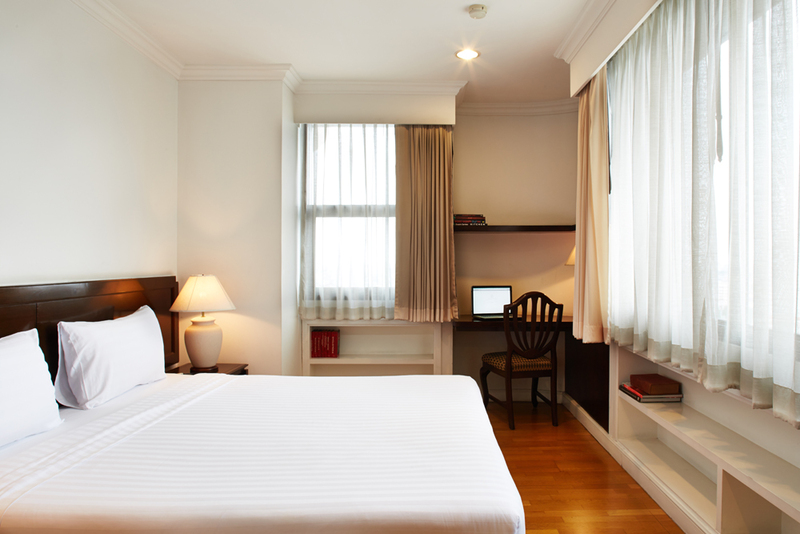 Features full balcony with picture-postcard views of the Chao Phraya River and Nonthaburi province beyond. 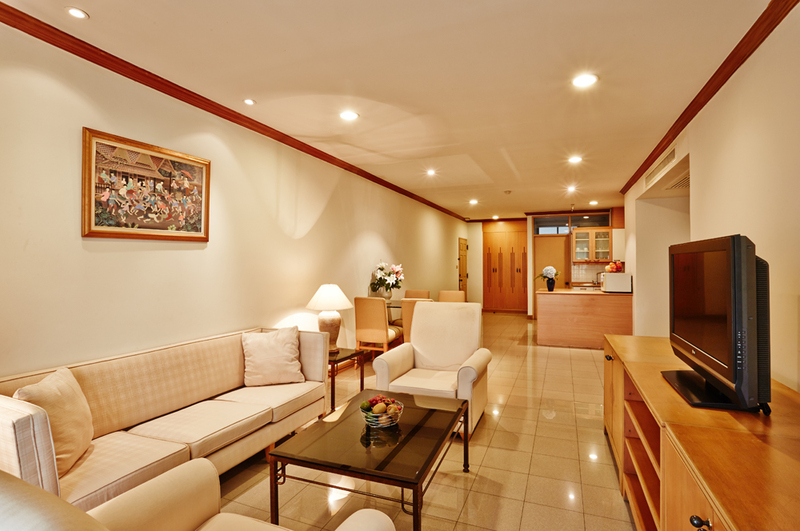 Just like home touches include supple wall-to-wall carpeting, writing desk, full sized walk-in closet plus spacious, double-access bathroom. 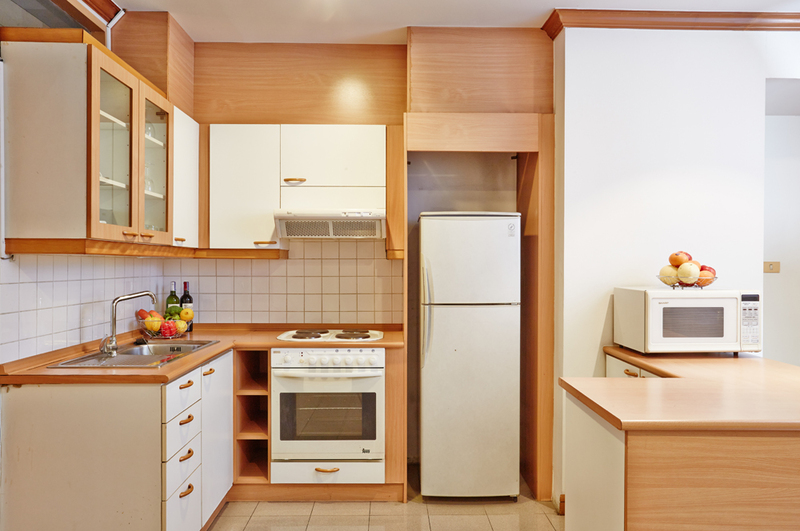 Kitchenette features microwave oven, hotplate with hood, refrigerator and essential kitchen utensils along with a sun-lit pantry for washing and laundry.